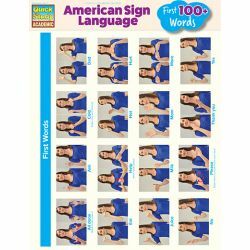 Photos make up this dictionary of 112 essential words for signing with start and finish poses including arrows and directions where necessary. 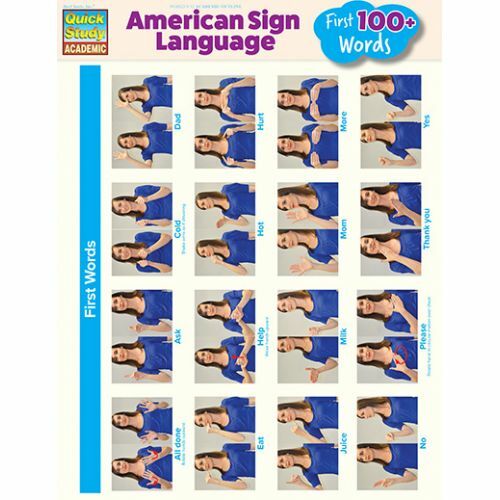 Perfect for parents this 6-page guide includes the first infant and toddler signs and many more any beginner would use. Designed to also hang on the wall it is laminated for durability during heavy use or defense against that splotch of applesauce thrown while signing “more". Laminated 8.5"x11".